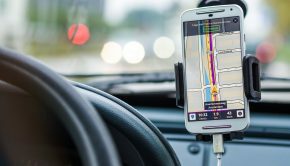 It lets you connect your phone to your car’s system, providing a total wireless access to the functions of your phone through the car via a control screen, voice commands, steering wheel buttons or the dash. With Bluetooth connectivity, you can focus on the driving and keep your eyes on the road. 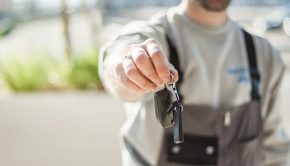 Just like in any device, Bluetooth-capable means that the stereo on your car recognizes Bluetooth-capable devices and communicates with them. Example: If your computer and mobile phone are capable, they can be paired with each other. 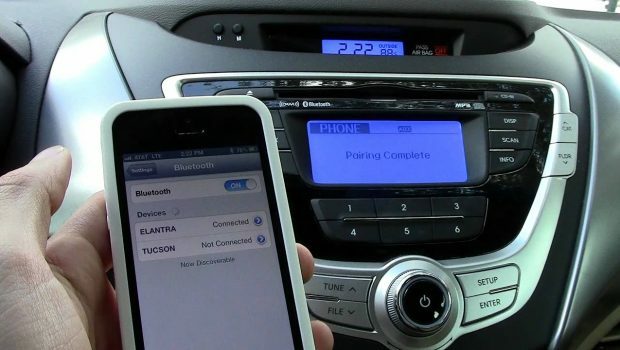 Bluetooth technology has been around for quite a while, and now even the car industry has adopted it on car stereos. There are general steps to use Bluetooth for audio in your car. However, some specific car models or makers might have their own instructions. It is best to consult your manual for the specific steps. The following is only a short preview on how to activate the function on your car. Get your phone and activate its Bluetooth. Proceed to your car’s menu in the settings under audio or phone. Choose the ADD A BLUETOOTH DEVICE, and then locate devices. From the list, choose your device. You can also choose the car from your mobile phone. In other cases, the car might also have to ask for a code into your phone and/or car. To play music or audio, turn on your car’s stereo and choose Bluetooth as the source. The car audio system will play the song on the device connected to it. If making a phone call, proceed to the phone menu and choose a contact. Once you receive a call, the car is going to ring, and then you can decide whether to ignore or answer the call. That’s about it! The devices are now paired. You can start playing music, accept calls or send message through your car’s stereo or entertainment system. *Functions and features vary from one car to another. This text messaging is the most recent adoption in the car industry – the MAP. It allows for Bluetooth connected receiver, and in this case, the car. MAP gives bidirectional access to your phone’s SMS messages. The hands-free profile lets speakerphone calling possible. It’s an old technology with which you might already be familiar. Once the pairing process has been done, the microphone and speakers will take over the input/output of audio while making calls. Almost all phones support Bluetooth connection for A2DP, HFP and MAP, including Android and Apple phones. Also, every car on the market offers this type of connectivity, as an inexpensive or standard option. Bluetooth phones can do data tethering, allowing its handset to share the internet connection to the device connected to it. This feature makes it good for answering your emails using a laptop; however, it is not as good when doing image-filled internet browsing. 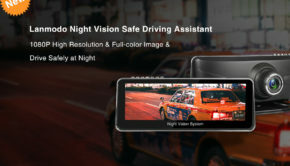 On the other hand, there are car infotainment systems, which can make use of Bluetooth in controlling your phone apps. It also lets you open possibilities, such as using voice command when opening a radio station from your app. In this Bluetooth feature, you can connect your favorite apps as well. The Advanced Audio Distribution Profile lets the connected audio system in your car to receive a stereo audio from your Bluetooth phone. Without even saying, you can now use the technology for listening to phone-stored music or songs from Spotify and other internet music services. The A2DP also works with the audio or video remote control profile, enabling the receiver to get metadata coming from the phone and letting you control the playback options. The metadata displays information on album, song and artist name. So, “What does it mean to have Bluetooth in a car?” It means convenience, portability, comfort and safety. You can answer phone calls, send messages, play music and do so many more! It lets you do all these things without compromising safety because it gives you the power to operate hands-free. These capabilities give you options in everything you desire. Now, you can use your phone without any physical contact. Finally, we can expect a whole lot more in this evolving Bluetooth technology standard.